Yes you can... on Sunday night 1st October at the Marrickville Town Hall. 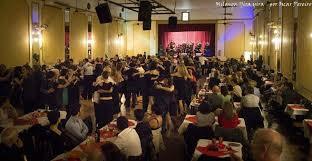 The Australian Tango Festival Orchestra will play and if you close your eyes you will feel as though you are in one of the famous tango halls, such as Salon Canning. The sounds of The Australian Tango Festival Orchestra are equal to none. Their arrangements based on the arrangements of the greats, D'Arienzo, Pugliese, Calo, Di Sarli.... are as authentic as you can expect to hear from a live orchestra, and their passion is equal to none. In 1999 I went to Womadelaide with a friend, sat in the moonlight and listened to a tango band from Buenos Aires. I had never heard tango music like this and I was hooked!! It led to dance classes in Sydney with one of the two teachers then in the market, the once a month a milonga and a passion for tango dancing and music that has become an integral part of my life! 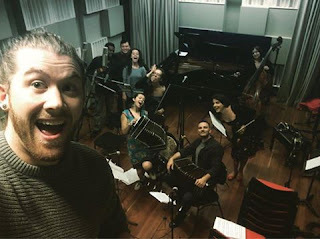 Today I listened to a pod-cast of an interview and performance with the Australian Tango Festival Orchestra on Fine Music, 2MBS-FM and I was blown away. I am a huge fan of Emily-Rose Sarkova and Owen Salome young musicians who are the driving forces behind Tangalo, a Sydney tango orchestra.